Charles Schulz would be grinning at this one from Phillip Dillman. 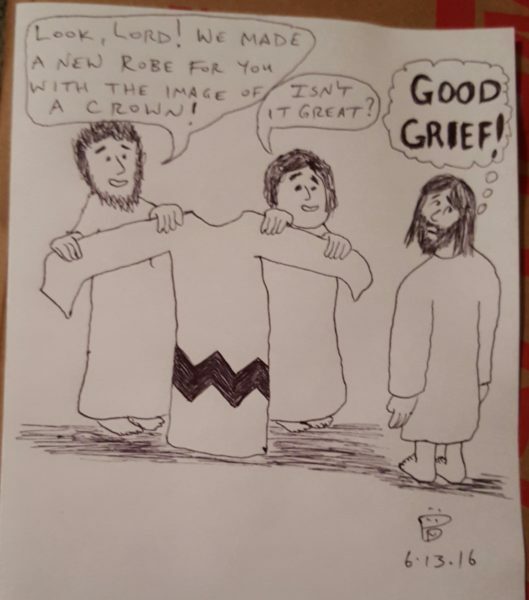 Please check out Phillip Dillman’s cartoon books Scripture Scribbles: Cartoons from the Choir Loft(HOPress, 2014) and the newly released More Scripture Scribbles: Cartoons from the Choir Loft(HOPress 2015). Religion was never so funny! I’m surprised that Jesus would work for Peanuts.